Highboy made in wood and a glass tempered box. Composed by a set of drawers with finishing through traditional marquetry. 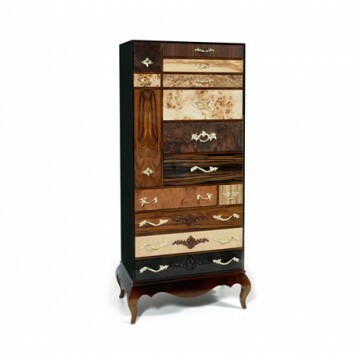 Product features: Highboy made in wood and a glass tempered box. 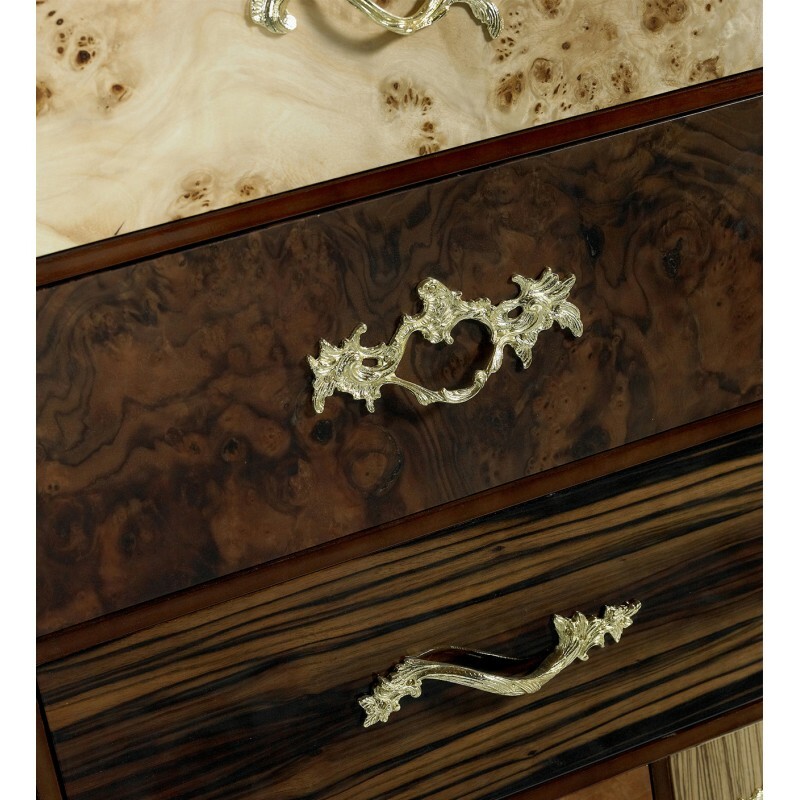 Composed by a set of drawers with finishing through traditional marquetry. Arts and Techniques: Joinery, Carving, Foundry and Varnishing. 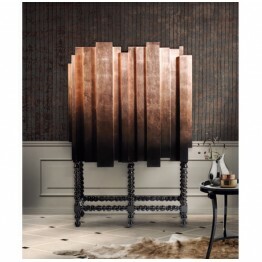 Materials and Finishes: Olive root veneer, palisander veneer, zebrano veneer, poplar veneer, Bird Eye Veneer, Walnut Leaf, ebony veneer, poplar veneer, myrtle burl veneer and Gold-plated brass. 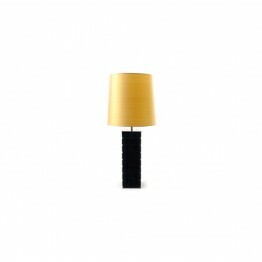 Product Options: Bronze, clear or smoked glass box available. Handles plated in gold, silver or copper. Clean and Care: Dry cloth for drawers and handles and glass cleaner for glass box. 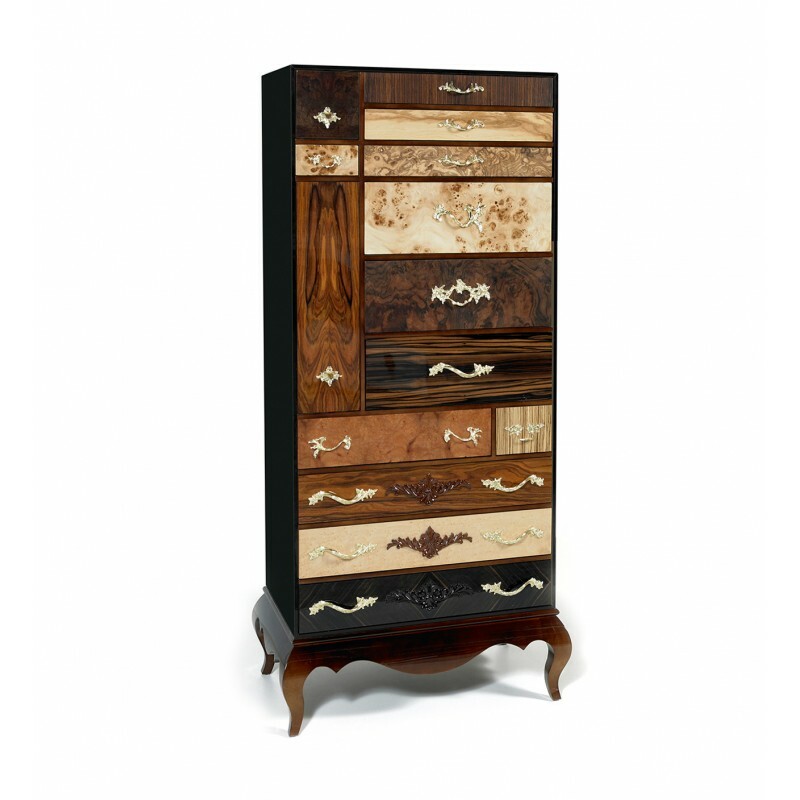 Queens highboy is an exclusive piece for your modern living room or for your sophisticated bedroom. With its variety of exotic wood leafs, strong presence and bold character Queens distinguishes itself. The diversity of finishes evoke sensuality and elegance which are visible upon first meeting Queens. 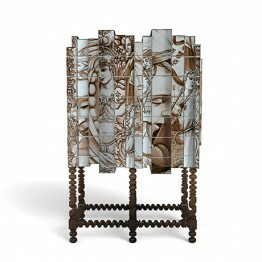 Enjoy the unique sensation this piece can emit and why don’t you surprise your friends by placing Queens at your original entrance hall. Queens is made in wood and a glass tempered box. 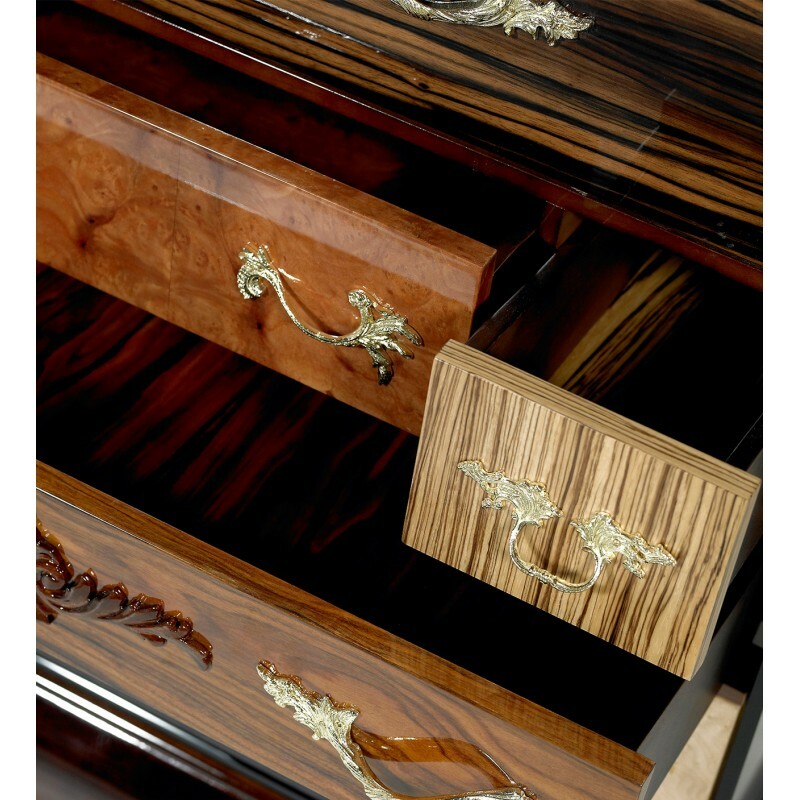 Composed by a set of drawers with finishing through traditional marquetry.